At the end of our journey to Guam we landed at Anderson Air Force Base on the northern end of the small island. 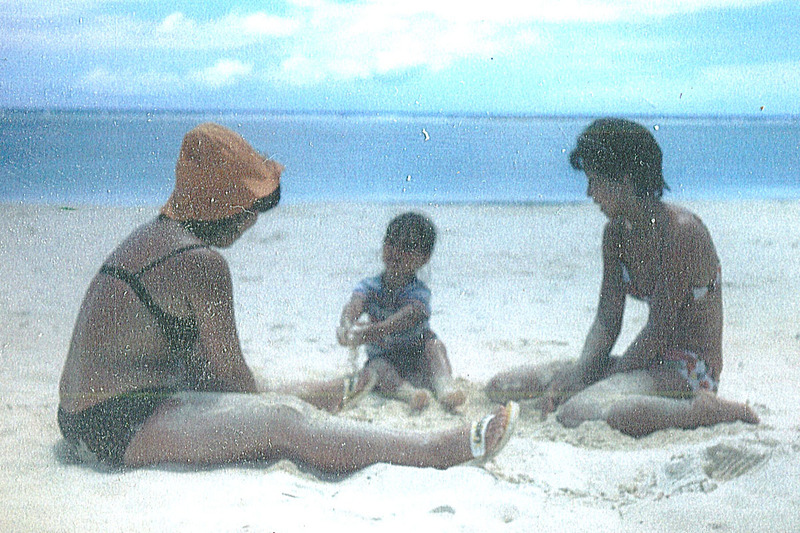 While we waited for an opening in base housing on Naval Communications Station (NCS) the Navy put us up at Guam Reef Hotel for about three to four weeks. It was awesome! 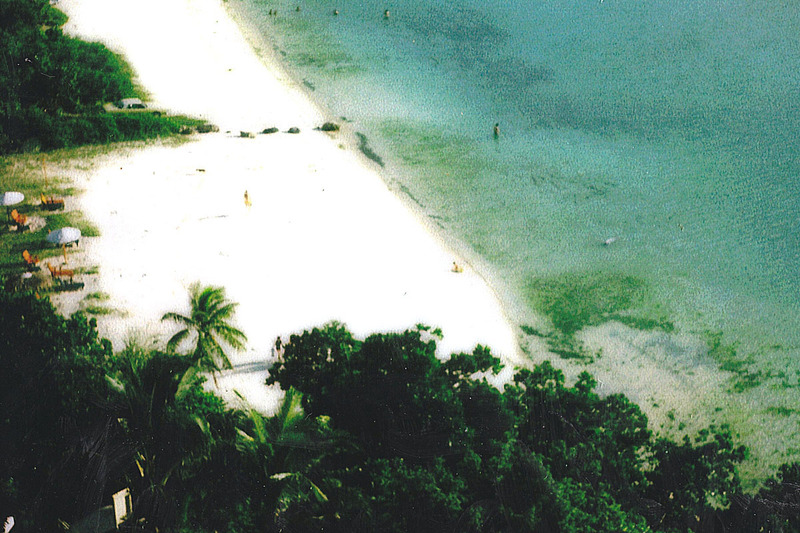 The resort hotel is located on the beach along the tourist district in Tumon Bay. 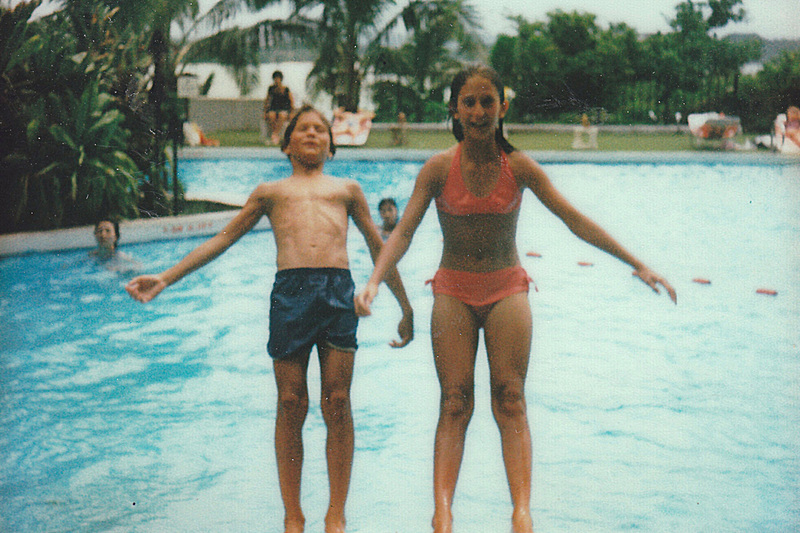 My dad went to work every day while my mom and us kids enjoyed the pool and the beach. 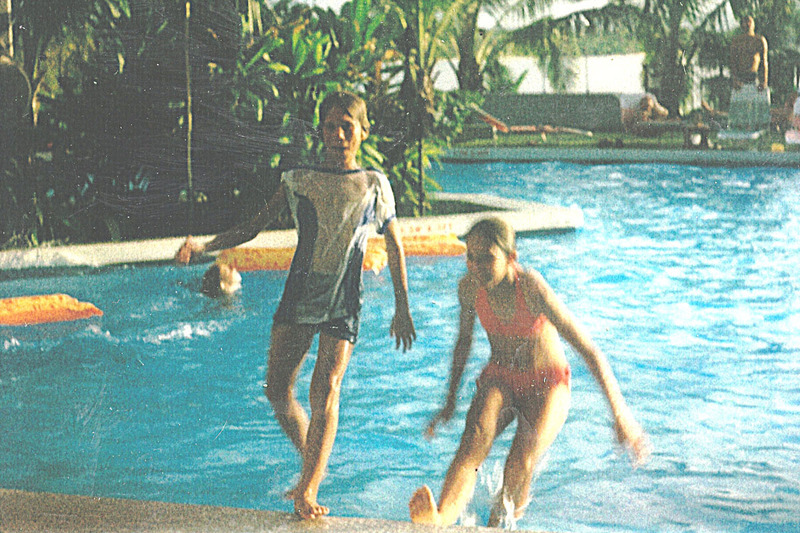 The things I remember are the spending long hours with my sister Carol at the pool, the Japanese couple who befriended me and Carol, meeting a fellow military brat named Travis (who later lived on Anderson AFB), eating those great breakfast meals in the hotel restaurant, the steep steps that led from the hotel to the beach way down below, my mom taking lots of photos including from the balcony on our seventh floor room, the Japanese tourists snapping tons of photos of my sister Alison on the beach, and sneaking away with my mom to walk and shop along Tumon Drive (Shhhh! My dad had banned her from this). The stay at the Guam Reef Hotel was the best vacation ever! 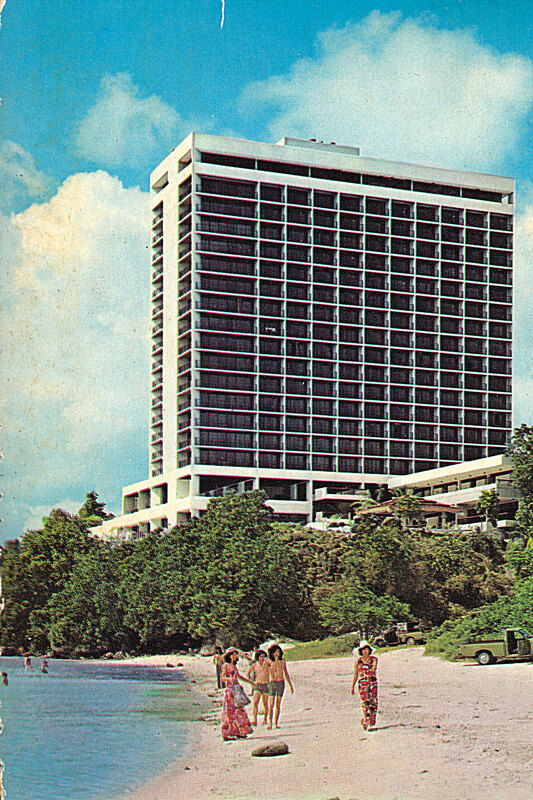 Late 1970’s postcard showing the Guam Reef Hotel from Tumon beach. A long set of concrete steps led down from the hotel to the beach. 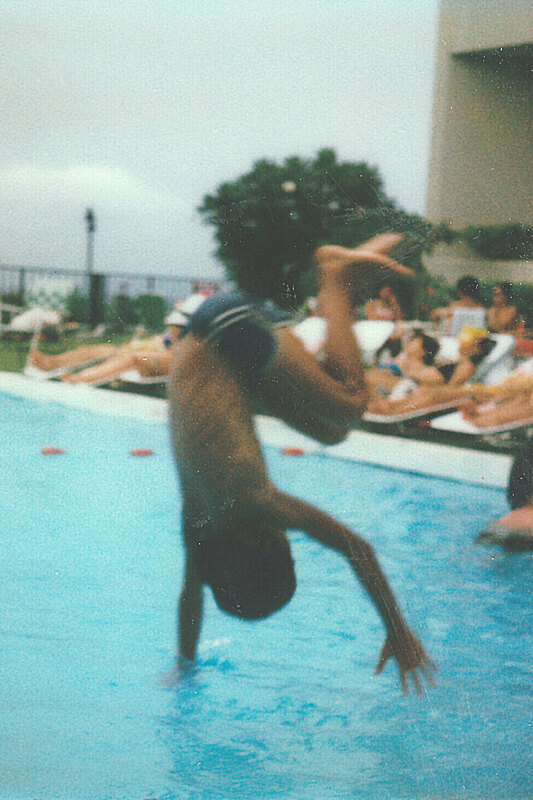 That’s me doing a back flip! 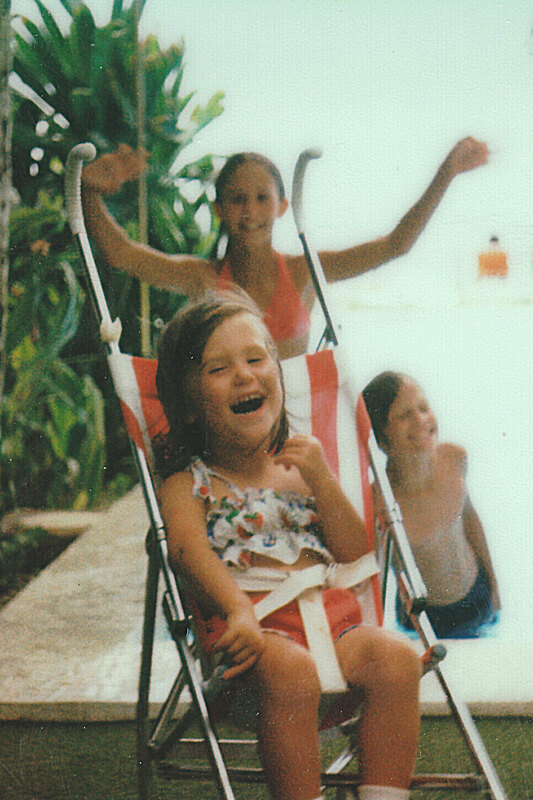 Alison poolside with me and Carol goofing in the background. Jeff and Carol. 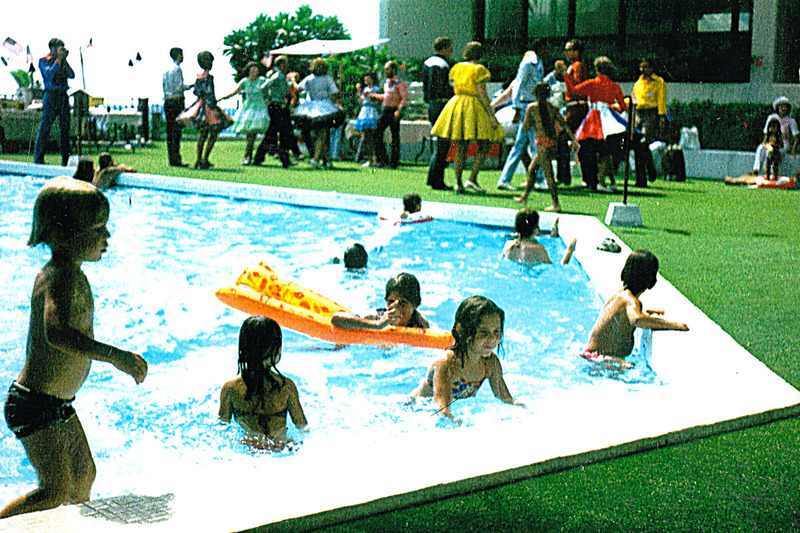 We loved that pool time every day! Alison posing near the pool area. The view from our seventh floor room looking down on the beach below. A common sight: Alison being adored by Japanese tourists. I tried to sell her but my mom said no! Oh well. 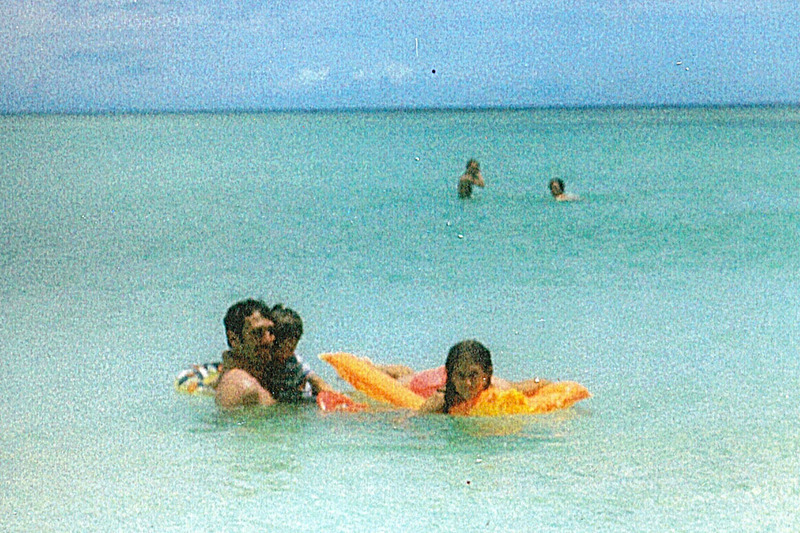 My dad holding Alison and Carol in Tumon Bay. 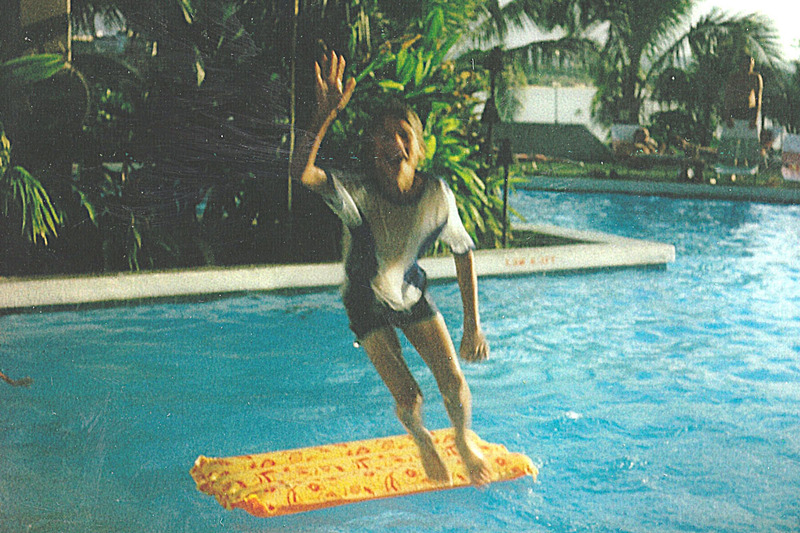 That’s me on our raft. We got a lot of use out bad boy! Jeff and Carol. 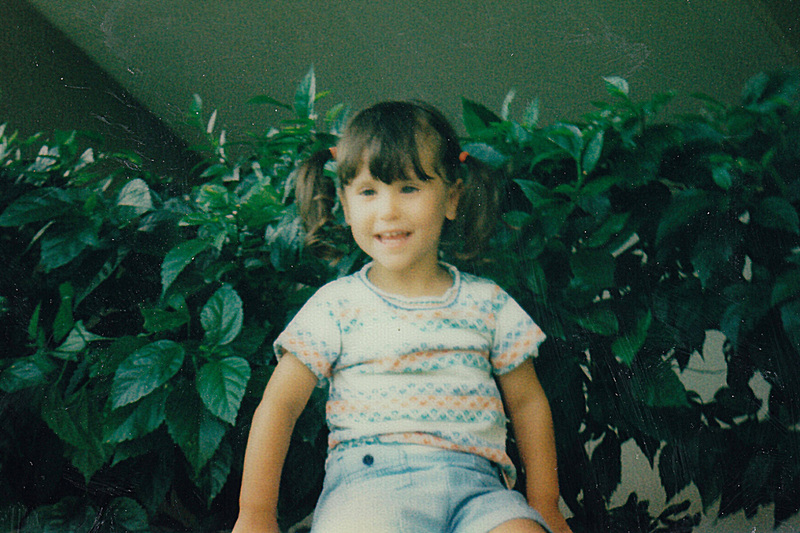 Man, I loved that blue and white mesh shirt. I also had a red football one.